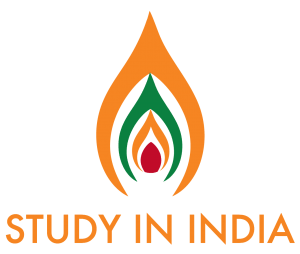 A progressive country such as India has already put education for international students on a pedestal with initiatives such as ‘Study in India Program’. A good start for new opportunities; this land has long been known for its rich diverse culture and value systems that are an integral part of education. For international students who want to study management in India can never fall short of choices in specializations. An exhaustive, well-researched syllabus that is adaptive and strategic, considering the global trends and the dynamic changes in the business world; the courses offer knowledge, practical tools and job opportunities, all in one. The key is to find the right institute that can provide affordable, versatile and smart MBA programs that match your requirements. For MBA aspirants who want a broad range of specializations, affordable education and a home away from home; Symbiosis International (Deemed University) – (SIU) will put an end to their search. With ample amount of choices in MBA specializations; SIU has come up with an excellent syllabus that focuses on not only academics but an overall development of students to be effective business leaders. SIU’s MBA programs are vast and varied in nature, considering the fact that the institute has developed these curricula after rigorous research and with the support of subject matter experts. Adaptable and hands-on; these programs not only offer a strong theoretical foundation in business concepts, but also provide practical opportunities through several internship projects, seminars etc. These programs inculcate values of deep-rooted scientific business knowledge and they also encourage creativity and entrepreneurship. Depending upon the inclination of the students, SIU has made available a range of MBA programs from various institutes that come under Symbiosis family. These are both affordable and enriching for a bright career in management. For those who are interested in core Business Administration and Entrepreneurship, there are programs such as Master in Business Administration (MBA), MBA – Innovation and Entrepreneurship, both from SIBM, Pune, Bengaluru and Hyderabad. Other programs such as MBA – International Business, MBA- Agri-Business or MBA – Energy and Environment are offered by SIIB. You also get to pick Master of Business Administration from SCMHRD; while it also offers other programs such as MBA Infrastructure Management. SIOM, Nasik offers one of a kind MBA program in Operations Management. SIMS, SITIM and SSBF offer core MBA programs and MBA in Telecom, MBA in Banking and Finance respectively. SIBM Hyderabad and Bengaluru offer core MBA programs, while SCMHRD, Pune, offers MBA program in Business Analytics. The costs for these programs ranges from INR 1,050,000 to 995,000 depending upon the courses, the location and the respective symbiosis institute that caters the course. Students are expected to complete a full-time 3 year Bachelor Degree program in any discipline from any statutory university with minimum 50% marks at graduate level. Also, students appearing for their final year can apply for the programs and are eligible after achieving 50% marks at the qualifying exams.